The former “Suits” star previously toured the U.K. with Prince Harry leading to their wedding last May. This will be the first time that the actress will join the British queen on her own. The two will head to Chester, about 200 miles northwest of London, via the royal train. 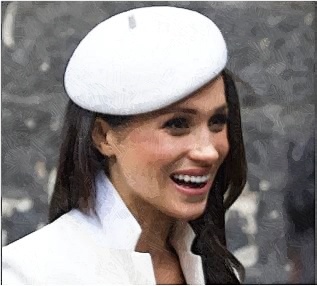 It is believed that they are likely to have an overnight trip on the royal train so it is possible that the brunette beauty will have a sleepover with the British queen. Meanwhile, Queen Elizabeth II has her own salon, which includes a bedroom, a bathroom and a sitting room. The bathroom reportedly consists of a full size tub for the matriarch’s morning bath. It is claimed that the operators are slowing down around 7:30 a.m. to make sure the water doesn’t splash everywhere during her soak.